A couple years ago I joined my friend and our sons and drove to Virginia to spend some time on the Appalachian Trial. As it turns out, hiking the AT is really hard and we only lasted one night. It didn’t help that a storm was blowing through, bringing lightning and torrential rain while we slept. At some point the temperatures plummeted and rain turned to snow. Cold and sore, we hiked out the next morning and did a couple day trips after that. I’ve always wanted to try that trip again, better prepared and lighter packed. My bride of 27 years would like to do it with me. 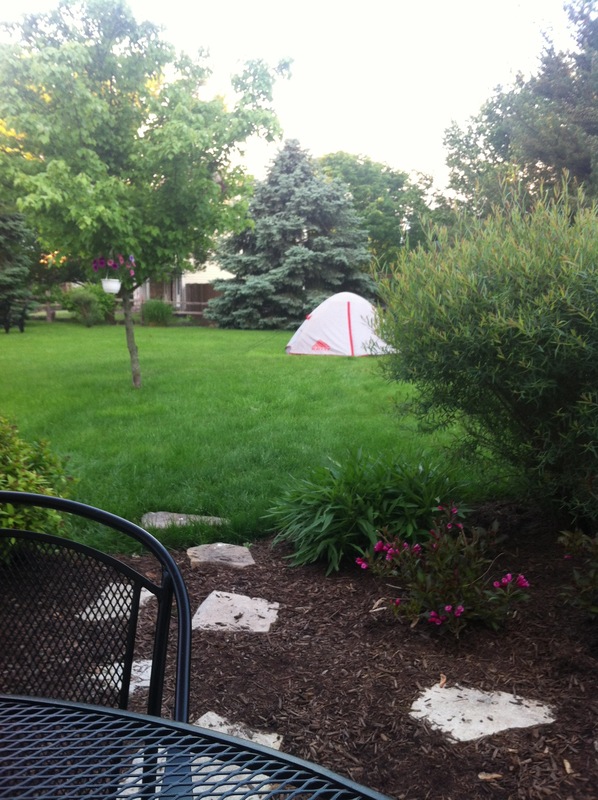 To that end, we purchased a two-man tent this year and set it up in the back yard to give it a try. We’ve claimed this year as “The Year of The Campground”. Our goal is to set up a base camp in campgrounds and then complete day hikes until we are confident about distances and routes. We’ll start in Southern Indiana on the KT (Knobstone Trail). This is Indiana’s version of the AT. My hope is that we will try to hike the entire trail next spring after we’ve worked out the kinks and bugs of our equipment and processes. This should better prepare us for a walk in the woods, whether in Virgina or somewhere else along the Appalachian Trial. My Journey to 50 is a process that will lead to weight loss and so much more. I want to try things I’ve never done. I want to expand my mind. I want to push the boundaries of my comfort zone. It’s a bonus that my best friend wants to do this with me. As for my day today, I had to move the tent to mow the yard…BUT I got in three miles of mowing and still had great energy to enjoy the rest of the day. I ate in moderation and look forward to weighing in tomorrow morning. I’m feeling fit as a fiddle. Okay…I’m still flabby and slow but I’m moving forward and that’s what matters most!